Come learn some new techniques! There are several fun techniques that go into this fun quilt / wall hanging. 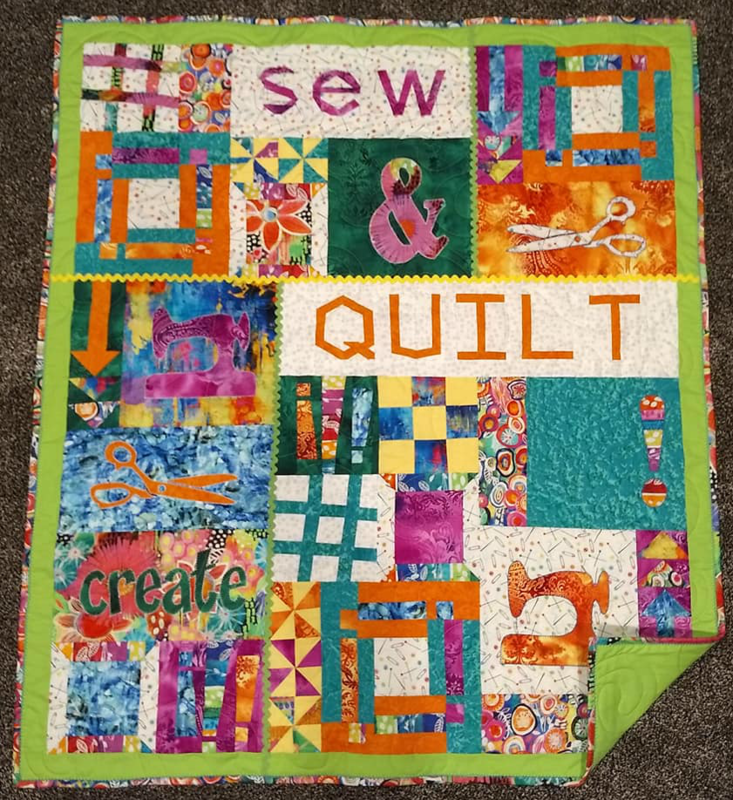 This 5 day class will include instruction in fabric selection, paper piecing, machine applique, traditional piecing, partial seams and binding. An added bonus from teacher Eva Clements is that you can choose to use her sewing machine applique template in place of the telephone if you'd like! 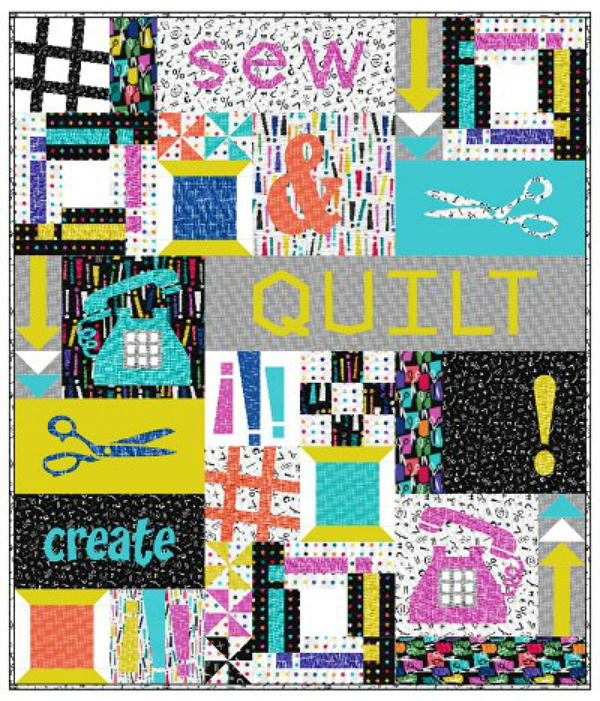 The quilt can be made as pictured above with a sewing machine image or as below with a telephone image! ALSO OFFERED AT OUR PLEASANT GROVE STORE IN THE MORNINGS.